Six of Celebrity Cruises’ award-winning ships will sail to more than 90 ports of call in 27 countries during its 2020 Europe Season – more cities than in any other Celebrity season. The 2020 Europe season will also mark the inaugural season of its second Edge Series ship, the Celebrity Apex, which will debut in April 2020. 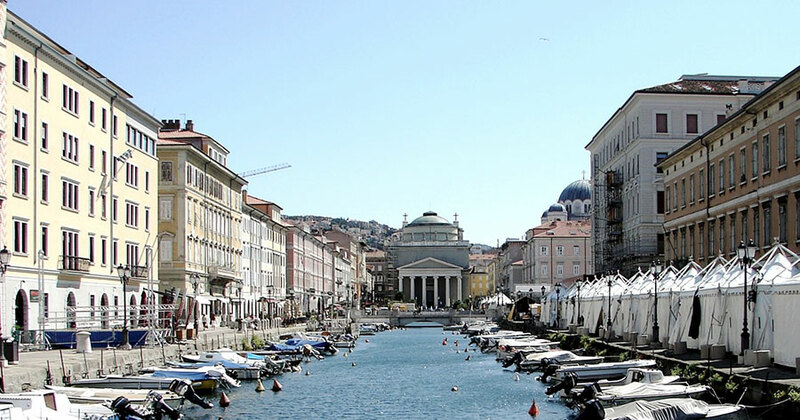 The season will introduce new ports for Celebrity Cruises – Trieste, Italy and Isle of Portland, Dorset, United Kingdom. Back by popular demand, the brand is also returning to Oslo, Norway; Agadir, Morocco and Kusadasi, Turkey, where guests can explore the ancient city of Ephesus. Celebrity Apex will make its debut in Southampton in April 2020, where it will sail a mini season of five sailings to European destinations including the Norwegian Fjords and the northern coasts of Spain and Portugal. The ship will also offer Celebrity’s new 10-night Capital Cities Cruise with stops in iconic cities, including Amsterdam, Copenhagen, Oslo and Paris. The ship will spend the majority of the season sailing seven- to 12-night western Mediterranean itineraries from Barcelona to Rome, with stops in Italy, Monaco, France and Spain. Celebrity Edge will celebrate its first full European season sailing the eastern Mediterranean and Adriatic. On 10- and 11-night itineraries, Celebrity Edge will visit Trieste, the Amalfi Coast, Malta and the Greek islands. Celebrity Silhouette will sail 7- to 14-night sailings out of Southampton, to Europe’s most renowned cities, including Iceland and Ireland itineraries with overnight stays in Dublin, Ireland, and Reykjavik, Iceland. Celebrity Silhouette will also offer the new 10-night Capital Cities Cruise. Celebrity Constellation will offer 9- or 10-night country-immersive itineraries in Italy and Greece. These first-time, comprehensive sailings provide in-depth explorations of each country. Celebrity Constellation will also sail the Adriatic with stops in Croatia, Slovenia, and Montenegro. Celebrity Reflection will offer three Iceland and Ireland itineraries with round-trip sailings from Dublin this season. A new 10-night Ireland, England and Scotland cruise will include a first-time visit to Portland, Dorset, UK on the English Channel and 12-night round-trip sailings from Amsterdam will sail to Scandinavia, Russia, and the British Isles. Celebrity Infinity will return to the Mediterranean in 2020 with a new mini season of sailings from Lisbon to Valencia, Malaga and La Coruna, Spain and Porto, Portugal. Morocco has also been added to Celebrity Infinity’s transatlantic crossing itinerary, a port Celebrity Cruises hasn’t visited since 2016. To see all Celebrity’s itineraries and destinations, visit our website. Celebrity Apex, Celebrity Edge, Europe cruises, Mediterranean cruises. Bookmark.